This stem extension mount is made of qualified aluminum alloy, solid, firm and durable to use. Direct wide slot user-friendly design, suitable for different specifications of the installation. Easy to install, suitable for any bicycle's stem. It is a extension mount holder for garmin computer and sports camera, bicycle front light and other accessories. Great accessory for cycling enthusiasts. STRONG AND DURABLE:This stem extension mount is made of qualified aluminum alloy, solid, firm and durable to use. DESIGN:Direct wide slot user-friendly design, suitable for different specifications of the installation.Can hold for GoPro action camera,for Garmin Edge GPS computers and Bicycle head light. EASY TO INSTALL:Easy to install, suitable for any bicycle's stem. COMPATIBLE WITH:Suitable for Garmin GPS Computer Series 25 200 500 510 520 800 810 1000 . 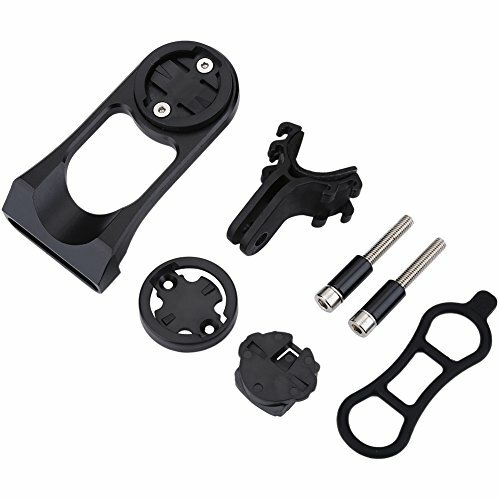 SUITABLE FOR:It is a extension mount holder for garmin computer and sports camera, bicycle front light and other accessories.Great accessory for cycling enthusiasts. If you have any questions about this product by T-best, contact us by completing and submitting the form below. If you are looking for a specif part number, please include it with your message.